Apple is planning to open a flagship retail store underneath Piazza del Liberty, or Liberty Square, in Milan, the most populous metropolitan area in Italy, according to preliminary guidelines approved by the city's planning department last month. The retail store will be developed by architecture firm Foster and Partners, who have partnered with Apple for several of its flagship retail stores around the world and its upcoming Campus 2 headquarters in Cupertino, California. The location is expected to be "one of the most innovative and technological Apple Stores in the world," and it will include an above-ground amphitheater where Apple plans to host at least eight public events of cultural significance per year. 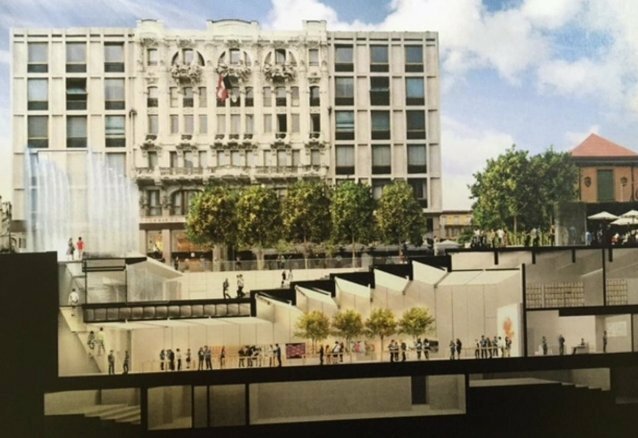 The amphitheater will "represent the heart of the square," with steps leading to an intermediate level between the square and the underlying store. An elevator will be included at the plaza level to ensure the store is fully accessible. A large glass screen made from a waterfall will mark the entrance to the store, which will take over the space currently occupied by Apollo Spazio Cinema. No timeline was outlined for completion of the project. 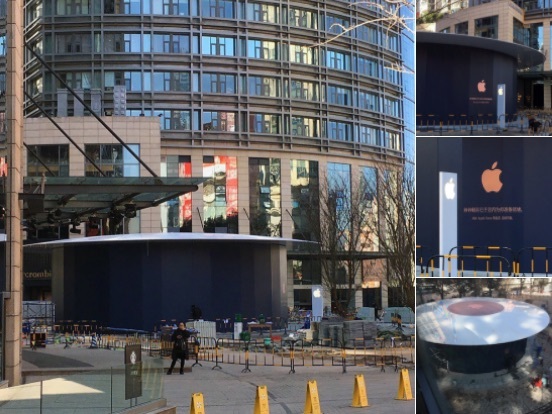 In related news, Apple today announced it will open its next store in Kunming, China on January 21 at 10:00 a.m. local time. living in Milan myself, I cannot wait for it. There are already 2 flagship stores serving the metropolitan areas, but they are in 2 shopping malls quite far from the city center. I wonder when it'll be ready. I'm going to be in Milan in April, would love to see it. Not sure if that's what they meant, but I am curious what they meant by "the most populous metropolitan area in Italy". I don't think will be ready by April. I have been to that place before xmas and didn't see anything but a xmas market. If you take out "fashion", iconic location perfectly described NZ. I have been to New Zealand for a trip and it's definitely the best country I've ever visited so far. It's breathtaking! Do you have a collection of Hard Rock Cafe T-shirts, as well? Do you have anything worthwhile to add on the topic, or do you just add to the useless noise that seems to fill MacRumors lately? Haha! Touche! My main grievance is the fact that there are smaller cities than Auckland in the world that do have an Apple store, and yet we still dont. In all fairness, we have Gucci, Dior, Tiffany, Louis Vuitton, H&M, TopShop, Swarovski, Coach, Rodd & Gunn, Hugo Boss, Prada, and others... New Zealand also has pretty sweet tax incentives for off-shore companies and an apparently 'booming' economy with all of Apple's target market having a somewhat flush amount of disposable income. We were one of the first countries to have an online Apple Store, yet now we are one of (two?) that have an online shop with no physical store. Presently our only option is to fly internationally to Australia (4hours each way at $450+ return) to have the privilege of seeing the magical people in blue shirts. I think that is ridiculous . Canberra of all places has a store! Mind you that was chosen based on the average income , kinda sad. NZ should have a physical store. I think this sheds some light on it: Approx 8m people, so not surprising that the glitterati in and around Milan are getting a flagship store.